I'm a generalist figuring out how to survive in an academic specialist world. Along the way I've travelled from a Ph.D. in Quantum Gravity to a Canada Research Chair in glacial systems modelling, with a stop as an organic farmer. I've also long had an on-going interest in radical social change (with a focus on theatrical media), wilderness sports, and systems design. In these pages you will find an overview of my current research, list of collaborations, some thoughts on pedagogy and strategy for social change, and some advice for computer modellers. I'm generally interested in the modelling of complex systems, with an expertise in glacial systems (combining ice, climate, and earth). Modelling is well suited to those of us who like to build/create things. It offers the opportunity to explore virtual worlds, probe myriads of "what ifs", and create piles of data. The challenge is to come up with meaningful results with limited computational resources. Limited resources and limited understanding implies that models of complex physical systems will invariably require simplifications and parameterizations. Along with uncertainties in initial and boundary conditions, the analysis and interpretation of model results becomes a major challenge. A key point in this regard (for which ice-sheet and climate modellers have been generally deficient) is the need to create meaningful error bars, or better yet probability distributions, for the results of models when used in the context of prediction or retrodiction. The determination of meaningful probability distributions by means of Bayesian calibration of models against observational constraints has therefore become a central focus of my work. I am also very interested in improving our ability to constrain the changing variability of systems and associated potential thresholds. In the context of climate change, this is arguably both the greatest scientific challenge and the aspect that carries the highest potential impacts. My current approach to this challenge involves three key steps. First, identify the bounds on dynamical processes potentially controlling variability and thresholds. Second, constrain the spatial and temporal scale sensitivities of the representation of these key dynamical processes and their interactions. Finally, develop probability distributions of potential response through a combination of large ensemble data-calibrated modelling with stochastic probing of the bounding critical dynamics. Probably the favourite aspect of my work (aside from learning) is model building. The Glacial Systems Model has been my baby and continues to undergo development. It is distinguished by a larger range of represented processes than any other model currently available as well as relatively high computational speed for ensemble modelling of glacial cycles. The core elements are a thermo-mechanically coupled 3D ice-sheet model and a global visco-elastic bedrock deformation model. The ice dynamical core from the hybrid shallow ice and shallow shelf physics PSU ice sheet model (Pollard and DeConto, 2012) has recently been added (after upgrading to F90 standards). Other important components include a bed thermal/permafrost module (Tarasov and Peltier,2007), physically-based surface mass-balance module, sub-grid mass-balance and ice flow (Le Morzadec et al, 2015), ice calving module, sub-glacial till-deformation representation, a fast surface drainage (and lake) solver (Tarasov and Peltier, 2006), and a fast first order geoidal deflection approach for the sea level field. Optional modules can compute high-resolution Semi-Lagrangian tracer tracking and gravitationally-self-consistent relative sea-level. A sub-glacial hydrology (Kavanagh and Tarasov, 2018) and state-of-the-art sub-glacial sediment production/transport module (Melanson, Bell, and Tarasov, 2013) are currently being upgraded. The critical surface boundary condition is provided by coupling of the glacial systems model to a hierarchy of climate models and forcings (eg, Bahadory and Tarasov, 2018). The GSM has configurations for individual calibration of each past ice sheet as well as for modelling all last glacial cycle ice sheets simultaneously. Another key feature of the GSM is the associated diagnostic analyses packages for ensemble comparison of model results against a wide range of observational data. These are required for ongoing Bayesian calibration of glacial cycle models to infer past ice sheet evolution. What is the probability distribution for the future evolution of the Greenland and Antarctic ice sheets? How can we improve constraints on potential instabilities? What are the past and potential future impacts of meltwater and iceberg discharge on the climate system? What are the key uncertainties and controls on polar climate stability? What controlled the climate system response to meltwater pulse 1-a and to the discharge associated with Heinrich events and the Younger Dryas? How will the variability of polar and sub-polar climate change in our future? What drove the glacial cycle? What is the phase space of the glacial climate system? What is the order of the dynamical system? What other limit cycles and attractors are accessible (ie. how robust is the glacial cycle)? What controls the dynamical structure? What is the dynamical chain behind D/O oscillations? How can the calibration of computationally expensive models against observational constraints be improved? How do different methodologies compare for this type of data inversion problem? How can they be advantageously combined? How can the error associated with the limited phase space of the model be quantified? More generally, how can we generate meaningful uncertainty estimates (and full probability distributions) for climate and glacial system changes (past, present, and future)? PhD research: Earth Systems (coupled climate-glacial systems) modelling of ice and climate interactions over the past glacial cycle. PhD research: 3D coupled sub-glacial sediment/basal hydrology and ice sheet modelling. PhD research: Earth Systems (coupled climate-glacial systems) modelling of ice and climate interactions over previous glacial cycles with a focus on Termination II. PhD research: Bayesian calibration of a model for past Antarctic Ice Sheet evolution. PhD research: Coupled ice and climate modelling with a focus on high frequency interactions. 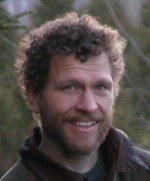 Robert Briggs (PhD, Jan, 2013), currently research scientist at C-Core,St. John's. PhD research: Data-constrained large-ensemble modelling of Antarctic deglaciation. MSc research: Comparison of MCMC and Ensemble Kalman Filter methodologies for model calibration. Tristan Hauser (PhD, Nov, 2013), currently Research Scientist at AMEC/Woods. PhD research: Bayesian Calibration of Earth Systems Models and temporal/spatial downscaling. Co-supervised by Entcho Demirov. Mohammad Hizbul Bahar Arif (MSc, Dec, 2016), currently PhD student, Engineering, MUN. MSc research: Dynamical climate representations for long-term integrations. Mark Kavanagh (MSc, Aug, 2012), currently PhD Candidate, Engineering, MUN. MSc research: The impact of uncertainties in Basal hydrology on the past and future evolution of the Greenland Ice Sheet. Andrew Keats (PDF, Dec, 2011), Systems optimization group, BC Hydro. Post-Doctoral research: Ice and climate interactions and the Bayesian calibration of a coupled glacial systems and GCM climate model. Alex Melanson (MSc, Aug, 2012), currently PhD Candidate, U. of Ottawa. MSc research: Modelling of sub-glacial sediment transport over North America. Co-supervised by Trevor Bell. Kevin Le Morzadec (PhD, defended Dec, 2016), currently project manager, Open groupe, Grenoble, France. PhD research: Scaling issues in glacial dynamics. (1) I am always keen to hear from potential graduate students who are interested in Earth systems modelling and analysis (NOTE: I do not respond to broadcast queries that have no relevance to my research). With my emphasis on data-integrated modelling, I do expect all of my PhD students (and if feasible, MSc as well) to participate in at least one field project in order to get a hands on view of the real uncertainties associated with field data. Such projects will also help develop physical intuition and understanding of Earth system processes. The spectacular natural environment of Newfoundland also offers incentive and inspiration. (2) I am part of the large PALMOD: Modelling a Complete Glacial Cycle project funded by the German Federal Science and Education Ministry. I am also a co-PI of ArcTrain Canada: Processes and impacts of climate change in the North Atlantic Ocean and the Canadian Arctic. I think these are exciting opportunities for a funded multidisciplinary graduate education and research. I find that much of current interesting science (especially within the global change context) needs researchers who are comfortable in an interdisciplinary setting. These programs should help train such researchers. a) Evidence of core strength in one or more of: physics, computational fluid dynamics, climate or ice sheet modelling, and/or applied math (ie undergraduate major or in special circumstances minor). b) An independent work orientation. c) Clear specification of what research topics you are interested in working on, (just saying "I'm really interested in your research area" won't cut it, no matter how much you try to flatter me).